Cats can show us that they love us in so many ways, but some of our feline friends go above and beyond when it comes to taking care of the humans they care about. The cats on this list stepped up when no one else could, sometimes putting their own lives at risk, to keep their owners safe. 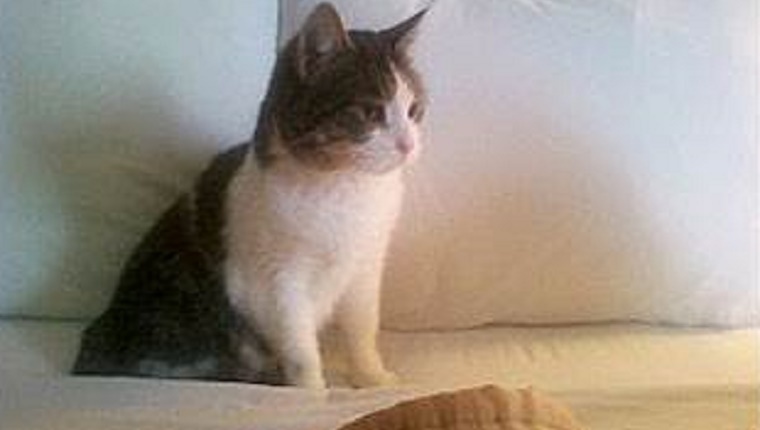 Here are eight hero cats who saved their humans’ lives. Annette Shanahan started to feel ill one night. She was weak and disoriented, and she wandered out of bed before collapsing into a chair. Her husband, Kevin, would have slept through the ordeal if it weren’t for the family cat, Gracie, who started pounding and knocking on the door. This was odd, as Gracie doesn’t usually try to get into the bedrdoom. Kevin woke up and found his wife in the chair. He found that he was having a hard time breathing, too, so he called 911. Firefighters arrived and found dangerous levels of carbon monoxide in the home. If it weren’t for Gracie, the couple might have never woken up. 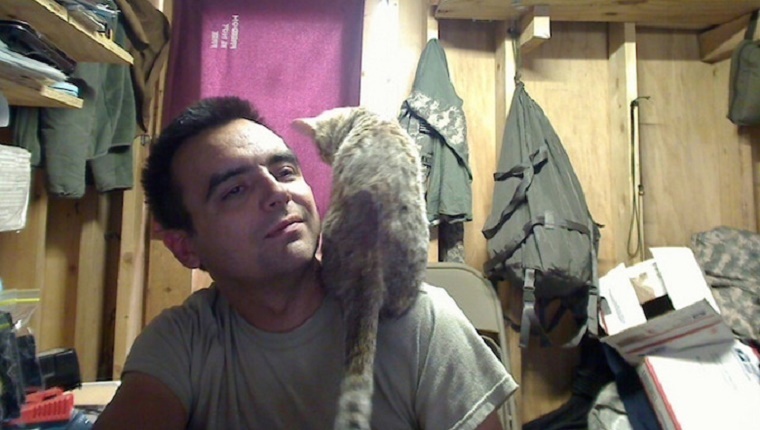 Staff Sargent Jesse Knott was stationed in Afghanistan when a small kitten came into his camp. The kitten returned many times and he showed signs of abuse. So Knott broke military regulation and kept the cat on base, naming him Koshka. Later that year, Knott started suffering from depression. His patrol was attacked by a suicide bomber, and several soldiers were injured or killed. At the same time, Knott’s marriage was falling apart. He decided to commit suicide, but just when things were at their darkest, Koshka pawed him and jumped on his lap. He started making a deep purring noise that Knott hadn’t heard before. It brought him back from the edge, and the soldier decided to get the cat out of Afghanistan. It was a hard road, but he was able to get Koshka out of the war zone and into his parents’ home in the United States to wait for him until he returned from war. Four-year-old Jeremy Triantafilo was playing on his bike in his family’s driveway when the neighbor’s dog attacked him, biting him hard on the leg and dragging him several feet. That’s when Tara, the family cat, jumpned into action and pounced on the dog, scaring him away. Tara didn’t back down when it came to saving her boy and risked her own life to take on the dog that was hurting him. Jeremy had to get 10 stitches, but the damage could have been much worse if the cat hadn’t intervened. Tara was a stray when her family took her in, and she more than repaid the favor. When Amy Jung adopted Pudding the cat, she had no idea that the feline would end up saving her life the exact same day Jung brought him home. On Pudding’s first night with her, Jung started to have a seizure in her sleep. Pudding jumped up on her, and when she didn’t wake up, he batted her face and bit her nose. Pudding then ran out of the room and woke up Jung’s son, who was able to help. Jung almost didn’t adopt Pudding that day, but luckily she fell in love with the cat and took him home. Within two days, Jung registered Pudding as a service animal. Michelle and Rod Ramsey both had headaches as they were getting ready for bed one night in their farm home when Tiger, one of their cats, started meowing and crying in their bedroom. Michelle noticed another one of her cats stumbling in the house and called the vet. She mentioned Tiger’s unusual meowing, and the vet technician on the phone asked if Michelle had turned on the furnace. When she said that she did, the vet told her to get out of the house and call the fire department. When firefighters arrived, they said it was lucky that the couple was awake, let alone alive. The house was full of carbon monoxide. Thanks to Tiger, they got medical treatment and the Ramsey’s and their cats are fine. When Angelica Sipe first heard the gunshot and sound of broken glass, she had no idea what was going on. She went to investigate the noise and found her cat, Opie, severely injured while he three-year-old son slept soundly just a few feet away. Opie had been hit by a stray bullet from outside that Sipe believes would have hit her son if it weren’t for the cat. She rushed Opie to the vet who offered to put the cat down due to the extensive injuries and expensive surgery that would be needed to rescue him, but Sipe wasn’t about to let her son’s hero die. They went ahead with the surgery and Opie recovered to keep living with the boy she saved. 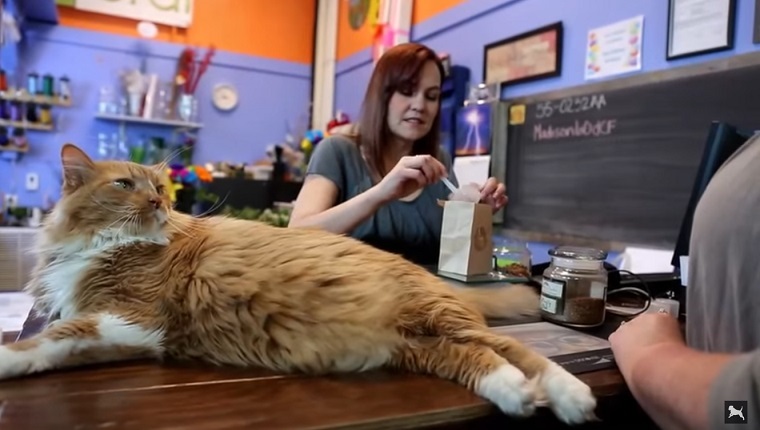 Shortly after Angela adopted Missy the kitten, she noticed the cat behaving very strangely. The cat started pawing at her chest and wouldn’t leave her alone. It made Angela feel like something wasn’t right, so she went to the doctor for some tests. They found pre-cancerous cells exactly where Missy had been pawing. After being treated, Angela got a clean bill of health, but about two years later, Missy started pawing at her chest again. Angela went back to the doctor and, sure enough, the same pre-cancerous cells were found. Angela got treated again and is lucky that the cells were found so early or she might have developed a cancerous tumor. She owes her life to Missy. Baby wasn’t a baby when she saved her owners’ lives. She was already 13 years old, and her human mom, Letitia Kovalovsky, was seven months pregnant with twins. As Kovalovsky was sleeping one night, a fire started in a back bedroom. Baby’s human dad, Josh Ornberg, was also sleeping as the house began to fill with smoke. Baby jumped on Ornberg and woke him up, allowing him, Kovalovsky, and Baby to escape the burning house. The fire destroyed almost all of the couple’s possessions, but everyone survived thanks to Baby. She saved her human parents and her human twin siblings before they were even born. Do you think your cat would save your life if something horrible happened? Which other hero cats deserve to be mentioned? Let us know in the comments below!